The Standard DVD is Region 1, meaning that it will only play on devices intended for the USA, US Territories, and Canada. The International PAL format DVD is Region Free and should play on all devices globally, except in the US. Shipping usually takes 3-5 business days for US. For a limited time, 10-packs of DVDs can be ordered for only $124.75! Get this special bulk discount to send a copy to your legislature, educators, and medical community. Plus, the DVDs feature spanish subtitles for your spanish-speaking friends and family! Stream– Rent a digital stream of the film for $3.99 for 48 hours. 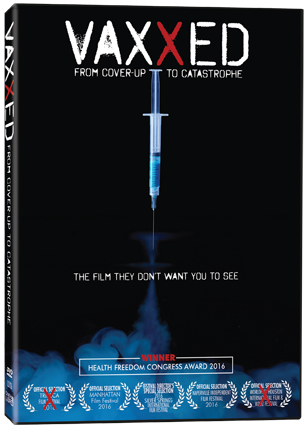 Theatrical On Demand– Find or bring Vaxxed to a theatre in your town. Screening Rights– Secure a license to share the film in a public or educational setting.